The Foundation has completed a series of projects that have been being supervised, managed and financed. Other projects are handed over after their completion to the corresponding entities for their management. Given the need to approach a secondary school college closer to several rural primary schools, including Mbackombel, we were able thanks to several meetings with the highest authorities of the Ministry of education of Senegal, the authorization to choose the ideal place for its construction. At the beginning of December (2014) we began the construction and equipment of the first six classrooms and the administrative building, of a total project of twelve classrooms. Currently, thanks to the collaboration of the Fundación Repsol, we have 6 classrooms and the administrative building. 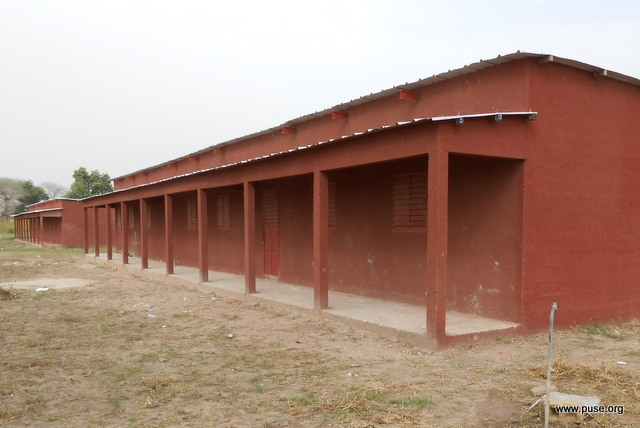 The sponsored children of our school in Mbackombel can already pursue their studies of secondary school in this school located four kilometers away and built for the Senegalese State. (2016). Seeing that the demand exceeded our expectations we decided to build one more classroom. 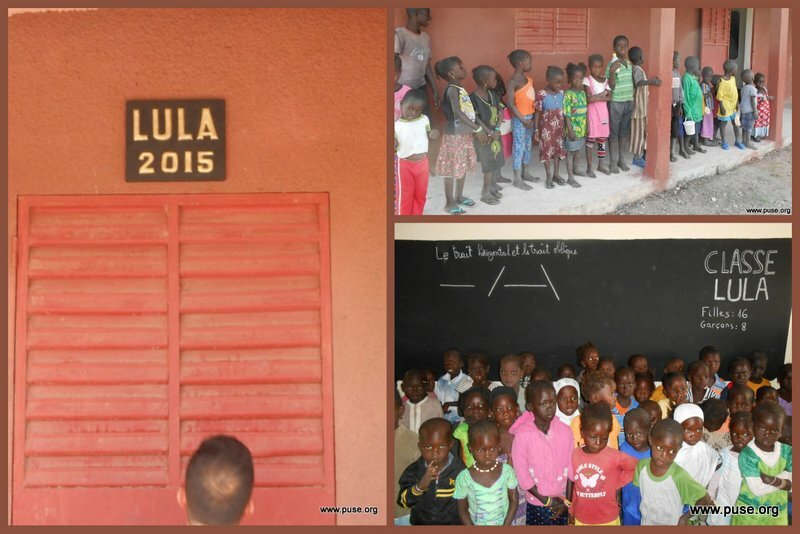 It has been funded by Lourdes Palomar and we have "baptized it" as "Lula classroom" (is the name of the daughter of Lourdes).Thanks to this project, 30 children will give its first "school" steps. 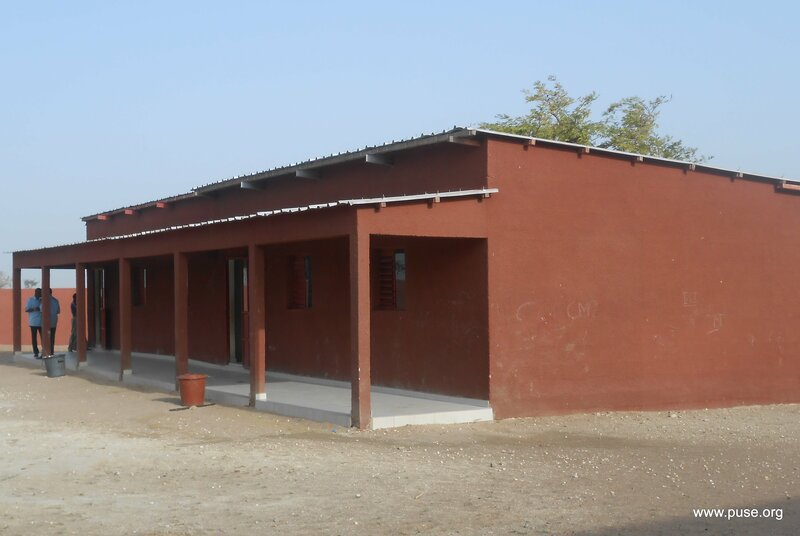 The function of these two classrooms is basically to bring to the little children the possibility of starting their studies and then subsequently to be able to approach to our primary school of Mbackombel located around three kilometers away (2015). More classrooms in the school of Louly Bentegne. Faced with the possibility by the Government to authorize that secondary school students can continue completeting their high school in the same center, we have built 3 new classrooms (2015) with the support of Fundación Repsol. Currently the school consists of 15 classrooms and the administrative building. Having expanded the capacity of the small parlor classrooms of kindergarten in the villages surrounding in order to bring school closer to the youngest children, primary school of Mbackombel has remained small which has forced us to expand it. Thanks to fishermen for Senegal, Roviralta Foundation, Fundación Real Dreams (30-200-1000) among others, we were able to start the course 2016-2017 with normality. The infants from this village cannot attend class in MBackombel due to the distance (3,5 km) between their village and the school. After 2 or 3 and by the age of 5 years old they will be able to walk to the primary school. With the suppoort of "Pescadores por Senegal". (We currently have 64 children in the infant classroom). The small ones of this village could not go to the classes of the school in Mbackombel due to the distance of more than three kilometres. When they turn five, having spent two or three years in the infant class, they will be able to walk the three kilometres to go to elementary school. 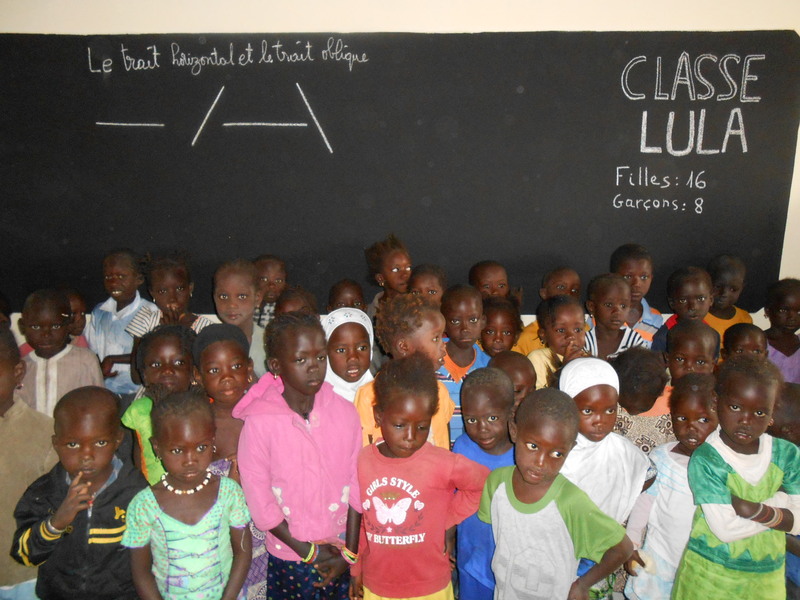 By the end of 2012 we finished the construction of this classroom and currently we have 25 children learning to draw “little lines” and babble in French. In April 2013, the Minister of Education of Senegal together with the Vice President and the Director of the CSR Department of of the "Repsol Foundation " and our President and Vice President inaugurated the opening of the centre. This public secondary school was entirely lacking of infrastructures, and they had various classrooms built from canes and hay by their teachers, so that they could teach classes for the children. As requested of the mayor of the “Communauté Rurale” and in order to replace the one they had and that was in ruins. From the beginning in 2002, we discussed the necessity to build a primary school in Mbackombel, since the children from the area did not have the opportunity to study. Little by little, the classrooms got built and currently they are functioning to their full potential. 360 children from different nearby villages attend the classes regularly. The Foundation finances the salaries of 16 persons as well as the school equipment. Seeing the nutritional deficiency of the children, the decision to launch de canteen was made in 2004. The children eat in the school on every school day. Each child contributes with 30 euro cents a month, and with the raised money the salary of the mothers who cook is paid. The Foundation finances the canteen. Due to the distance between some of the villages and the school of Mbackombel, the smallest children could not attend the classes for infants. For this reason, a classroom in Soussane has been built with the collaboration of the association “Pescadores por Senegal”, where the children can attend nursery school until they are old enough to go to school. The Foundation pays the salary of the nursery school teacher, the school equipment and the food for the children who attend the class. In this village situated 7 kilometres from Mbackombel, one of the classrooms of the public primary school was built with branches. We achieved part of the resources from a Spanish company, and in order to finance the remaining 50% we resorted to the collaboration of the French association “Sourires d’enfants du Sénégal”. Having seen the projects that were being carried out and their constant monitoring, Mme. Martine Moy, president of the Association “Vivre en Brousse”, offered the financing of a project of water. After selecting the most suitable place, they drilled as deep as 106 metres to find drinking water with a capacity of extraction up to 24.000 litres/h. A water tank of 50.000 litres and solar panels for the pumping as well as two fountains, water in the bathrooms of the school and installation of pipes that reach lands that are to be cultivated throughout the years were provided. It is a project to improve the inhabitants’ living conditions in Mbackombel. Initially, homes for two families have been built (17 persons in total). The Foundation purchased the materials, designed the blueprint of the construction, and the beneficiaries provided the labour force. Upon request of the inhabitants of the region and seeing the lack of health care, the Foundation decided in 2004 to build the dispensary (first aid centre) and two rooms for the volunteers. It was opened in August 2005. So far this year (Sept. 2014) there have been on average 290 medical consultations a month, including campaigns of vaccination, supplying anti-parasite drugs, as well as the two annual campaigns of supplying vitamin A to children under the age of 6. Later, in 2006, we were granted help from the “Fundación Ordesa”, which financed the construction of the Maternity centre. The opening of the centre took place in January 2008. The Spanish association “Mujer y Madre” (Woman and Mother) helped us equip the maternity centre, and since 2006 has been providing it with sanitary materials and medicine. Currently (September 2014) there are on average 100 medical consultations and 20 births a month. The health care volunteers that offer their help are many. The Foundation, apart from purchasing the medicine and monitoring the functioning, maintains these facilities in which 9 native persons work. In 2010, electricity was provided to the dispensary-maternity centre of Louly Benteigné installing an overhead power line, the pylons and a transformer of 100 KW. With this infrastructure, financed by the “Fundación Repsol”, not only are we addressing the needs of the dispensary, but we also provide access to electricity to the whole settlement. The students of the school of Mbackombel, in order to be able to continue their studies, need to move to the city of Mbour and thus have the opportunity to receive and finish secondary education. Some of the children have relatives in the city who give them accommodation, but others had to rent rooms in the outlying districts, where they lived in bad conditions. Contemplating this problem, the building of a student residence started in 2008, where more than 55 children can live and use a study room after school. The Foundation finances schooling, breakfast, lunch and dinner for 55 children attending secondary school, the maintenance of the centre and the salaries of the principal and the staff. The families contribute 10% of the budget. In 2005, at the request of the Missionaries of the Immaculate Conception, in an outlying district of Mbour we built a centre for women in which the Sisters can teach courses of literacy, cooking, sewing, etc.